Looks: Dense, smallish, popcorn sized nuggets. Bright green with dark orange hairs, and heavily frosted. Smell: During flowering smell was quite acrid, with an almost chemical scent of ammonia. 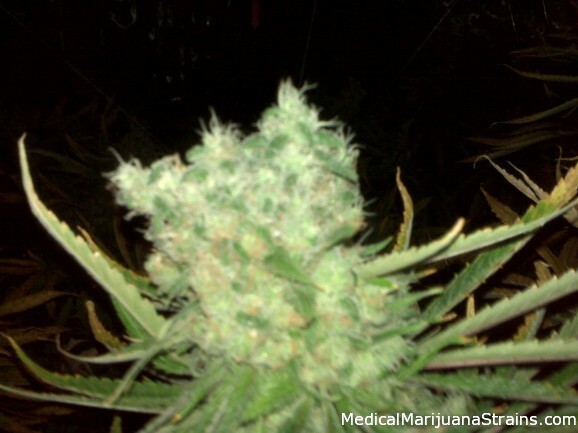 After curing for 4 weeks, the chemical smell vanished and was replaced by a wonderful classic skunk scent. The strongest skunk smell of any strains I’ve grown (which I absolutely love). Breeder’s notes said this was not a strong smelling strain, which was totally false (at least with this particular pheno). Taste: Not much in the taste department, just typical earthy taste, with hints of lemon on the first couple puffs. Effects: Very much a body stone, almost entirely felt in the chest, and legs. Very mellow, no racy or cerebral effects. 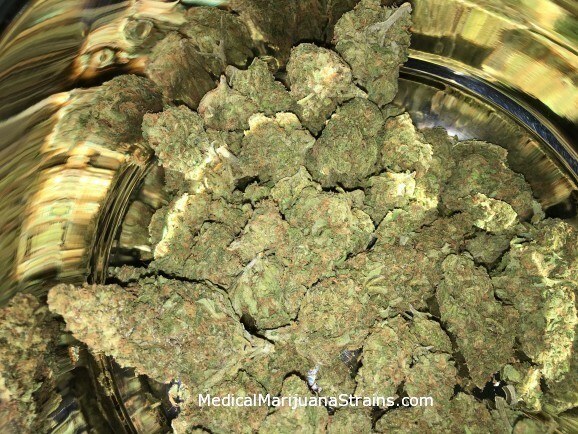 This strain works wonders for my nausea and stomach pain, and provides a very nice muscle relaxant effect. Legs get a little jelly-like after a few hits, and it makes me feel quite weak due to the potent muscle relaxation. 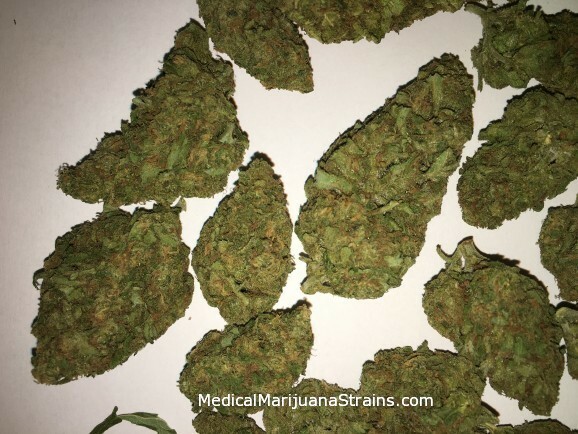 This is a perfect night time strain for me, and ticks all the important boxes: helps me sleep, no raciness or paranoia (I suffer from panic attacks, so this is important), gives me a great appetite boost, relaxes my muscles, and helps me sleep. Potency: Medicinally, it’s very potent, but is not an overpowering stone for those looking to get really torched. As far as reliving symptoms I rate it’s potency an 8 out of 10. For mind-altering effects, not very powerful, and I would have to give it a 6 or 7. However, for my needs, this is my favorite meds right now. Grower’s Notes: This particular northern lights was grown from seeds purchased from Peak Seeds BC. They claim this version is Northern Lights number 5, crossed with another NL from europe. 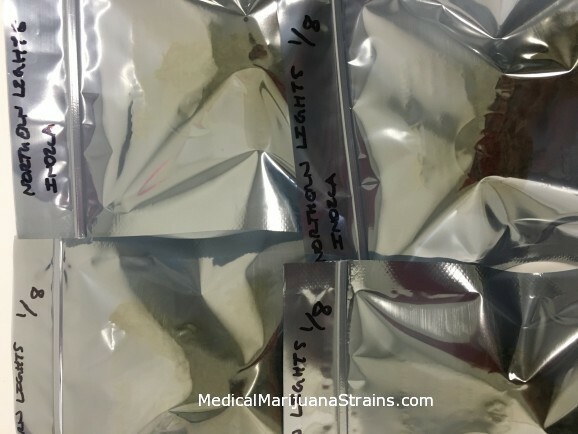 Out of 10 beans, 50% were male, and about 3 of the females had problems with very weak and floppy stems that could not even support the weight of the plant itself. Not the greatest numbers, but I still got two great keepers out of this batch, and selected this plant as my mother. Yield was less than staggering, but nothing to be ashamed of either. However, the medicinal value of this plant more than makes up for the issues it had. Will be keeping this one in my regular rotation for some time to come. 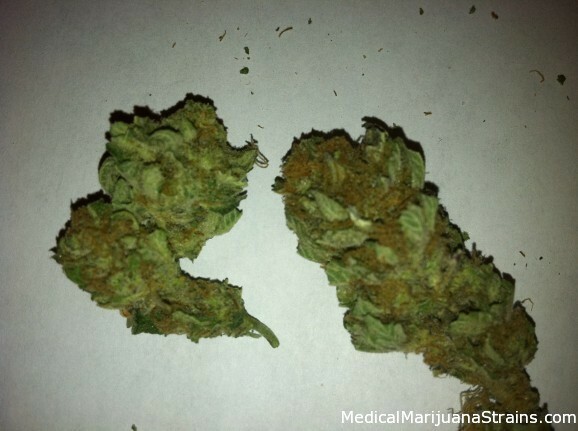 Good Strain For: Nausea, appetite stimulation, muscle relaxant, stress reducer, sleeep and insomnia. 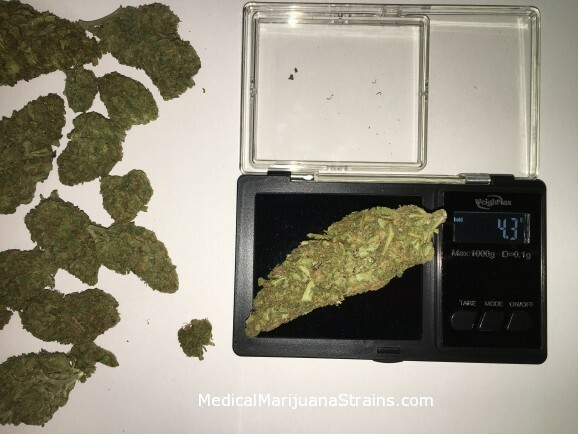 Good Strain For: Appetite stimulation, pain, anxiety, etc.